CarveWright - Woodworking for the 21st Century! 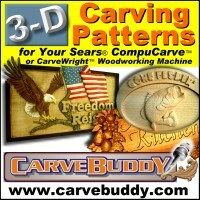 CNC Art Guild of America - Forum & Homepage » CarveWright - Woodworking for the 21st Century! Wether your in a large cabinet shop or a single stall garage we would like to hear from you. 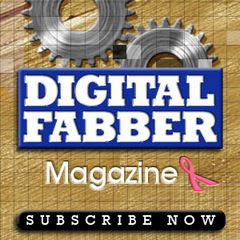 We would like those of you that have patterns to share - to do it here. Please start a new topic for each pattern (makes them easier to find). We also support STL Files. 67 93 From STL to PTN! 53 61 From STL to PTN! Output file extension the Designer puts on it's saved project files. files created by Designer when importing images to be used as patterns. All things related to getting your products into the hands of paying customers. All things related to managing the business side of being in business. Products that compliment the CarveWright Woodworking System! Discussion pertaining to the CarveWright Woodcutting Machine. So... what are the proven ways to maintain this machine. Post your success story here. Discuss tips and tricks for using the Scanning Probe. To DownDarft or not to DownDraft that is the Question... share your ideas, pictures, stories, nightmares, opinions, etc on the subject of downdraft tables. Use this space for pics of carvings in wood: vector, raster, whatever else you invent. What is a Lithopane......Perhaps one of the most unusual and interesting art forms to emerge from the early 19th century is the lithophane. What are you carving in? Ask questions or share ideas about how to perform operations with the CarveWright/CompuCarve system. 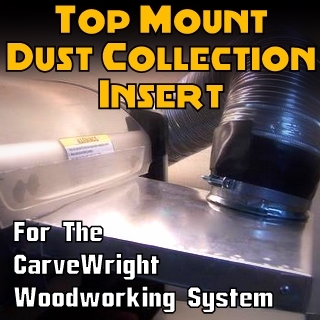 Instructional Videos & Manuals on the CarveWright Woodworking System.